Located about 25 miles east of Manhattan, Paul Rudolph’s Endo Pharmaceutical Laboratories is a 150,000 square foot building sitting on an eight acre site in Garden City, New York. This “castle-like” or “fortress” structure was a drastic change from the box-like, curtain wall architecture being built on Long Island at the time. Drawing inspiration from Le Corbusier, this is one of Rudolph’s lesser known buildings, and one of just a few buildings located on Long Island. Commission Brief -Paul Rudolph was given the commission of Endo Laboratories during the completion of the Yale Art and Architecture Building. Joseph Ushkow, one of five brothers that founded the company, knew that corporate identity was important for his company and to hiring a well-known architect to design an iconic building had marketing benefits. Design Brief - The building was to be divided into three major areas that are common to many industrial buildings: research, production, and administration. The production function occurs in a space with no defined form, while the other two functions are defined from the exterior. While glass curtain wall buildings were being constructed all over Long Island, Rudolph designed a “fortress-like structure” that was drastically different from what modernists were doing at the time. Rudolph was not fond of the box like structures being built at the time and he resisted doing so. The clients were happy with the design and believed it was architecturally significant, however many residents of Long Island found it tough to look at. The building has been renovated with the addition of loading docks and garage doors on the east side of the building. Developers understood that the turrets, corrugated concrete walls, and baroque inspired staircases could be attractive to future clients. In 2007, Metropolitan Realty Associates completed an award winning gut renovation of the building, and redeveloped the building while preserving the buildings architecture and characteristics. Home to Lifetime Brands, a provider of kitchenware, tableware, and other products used in the home. The building in general lies low to the ground only rising three stories and uses a wide plan across the landscape. In his design, Rudolph brought an open floor plan, a free façade, ribbon windows and a roof garden. These four design decisions he made come from Le Corbusier’s Five Points of Architecture. The most noticeable feature on the building are the smaller turrets that undulate across the façade. They systematically disrupt the ribbon window and are hollow, acting as skylights to let light enter by placing a translucent material to close them off and let light filter in. Some of the larger turrets on the building function by bringing stairwells, mechanical systems, and other utilities to the edge of the building to open the floor plan. The upper levels of the building are reserved for manufacturing while lower levels are used for packaging, using the flow of gravity to aid the process. There is a Le Corbusier machine age aesthetic in the design choices made by Rudolph. The building is constructed of a poured concrete foundation with a structural steel frame wrapped in concrete, masonry and stone. A signature Rudolph aesthetic design that was developed on the Yale architecture building, corduroy or fluted concrete, is used on Endo also. The firm designed special plywood fins that were then nailed to the concrete forms. When the concrete had cured, the formwork was removed and the fins and aggregate mix were chipped off, leaving a rough surface of aggregate. This method was also done at Yale, however there it was only applied to flat surfaces where at Endo it was applied on the curved and flat surfaces. This shows that Rudolph had further developed this technique. Again at Yale, this technique was applied to just about the entire interior of the building, but at Endo it was only applied to specific areas, for example the main lobby. "Endo Pharmaceutical Laboratories, Stewart Avenue, Garden City, Long Island, New York, 1960-1964, 1967." Endo Pharmaceutical Laboratories, Stewart Avenue, Garden City, Long Island, New York, 1960-1964, 1967 | Paul Rudolph & His Architecture. Accessed June 29, 2017. http://prudolph.lib.umassd.edu/node/4667. "The Business and Research Center, Case Study". Metropolitan Realty Associates. 2001. Archived from the original on September 3, 2007. Accessed 22 August 2017. Jacobs, David. "The Rudolph Style: Unpredictable." The New York Times Magazine, March 26, 1967. Accessed June 29, 2017. http://query.nytimes.com/mem/archive-free/pdf?res=9C01E5D91E3CE53BBC4E51DFB566838C679EDE. Huxtable, Ada Louise. "But the Endo Center Stand Triumphant Amid Controversy", The New York Times, September 20, 1964, Section: Real Estate, Pages R1, R14. 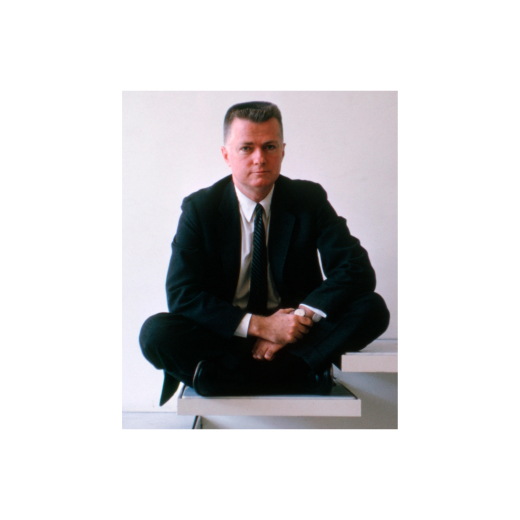 Rohan, Timothy M. The Architecture of Paul Rudolph. New Haven: Yale University Press, 2014. "Turreted, Castle-Like Structure to Be a Laboratory on Long Island"." The New York Times, November 4, 1962. Accessed June 29, 2107. http://query.nytimes.com/mem/archive-free/pdf?res=9A03EED6133FE731A25757C0A9679D946391D6CF.